Vatan - Sonic Landscape Every Fuzzer Can Call Home! Samavayo has been around since 2000 and as a trio since 2013. Two Voland brothers Andreas and Stephan grew up in East-Berlin and singer Behrang Alavi was 10 years old when fled as a political refugee from Iran to Berlin. Berlin is known as a cultural melting pot since the fall of The Berlin Wall. So you can imagine the effect of the surroundings it has on the musicians. The band itself names 90’s bands as their influences, from Kyuss to Tool (latter is mentioned on their Facebook influences list twice!) and 70’s bands like Led Zeppelin to Black Sabbath. But I am guessing that the singer from Teheran also has his own influences from his childhood and family. Also, Berlin is the birthplace of experimental krautrock so there may be small influences from very varied genres of music and backgrounds. 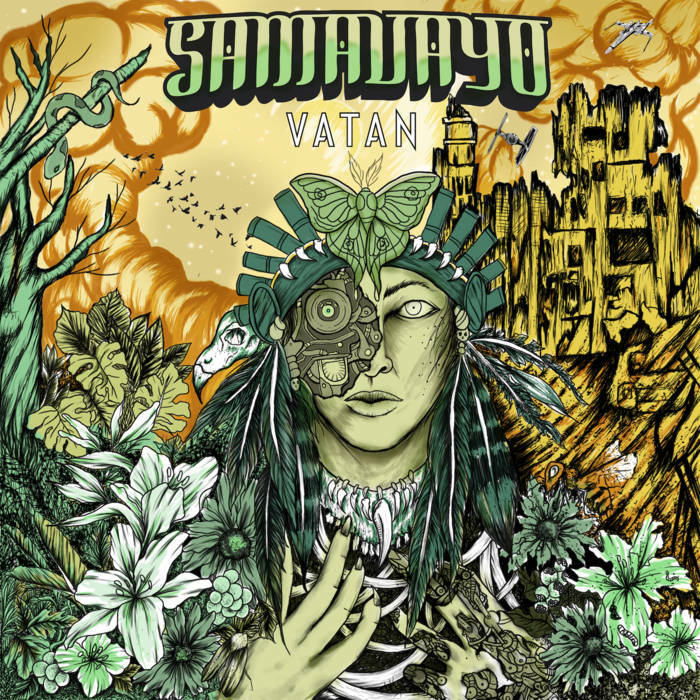 And you must not just imagine, because Samavayo released an incredible album, Vatan, at the end of 2018, and I am going to try to give it justice here. You can hear the influence of Tool right away, but then it is stirred into the mix of this progressive psychedelic power stoner rock. What did I just say? Could I add more adjectives? Probably, but it would become a meaningless string of words. I think it’s simpler to call the Samavayo’s genre just progressive stoner. If you really need to call it anything, but you don’t. You need to listen and get into the experience. This album is thought-out and really powerful. Elaborate rhythm, especially for the drums and vocals in verses from Tool. Grandious guitar tones with superb Mastodon-like vocals on top during the choruses. Progressing from one part of the song to the other with clever fillers. If you want, then you can listen to it in different ways. First few listens I was more aware of all the details that I could recognize from all the stoner scene and appreciate them as they were given the best representation possible. But of course, I don’t want to make it seem that this album is just a collection of tributes to all the influences these guys have had. Samavayo are outstanding musicians who take everything that came before and melt it and shape it like dwarven blacksmiths of Nordic myths into something new and magical. Their music has power and drive that you can’t miss. Or miss out on! There are moments that you think “wow, this is perfect“. For example the track “Vatan“. In the end the drumbeats tick just so right, add to that the guitars and vocals which bring you goosebumps! Everyone who has ever found one song that they can seep into eyes closed while at the same time having the whole body swinging in the wave, know what I am talking about. And this album brings you that joy. No track is lesser than the others. 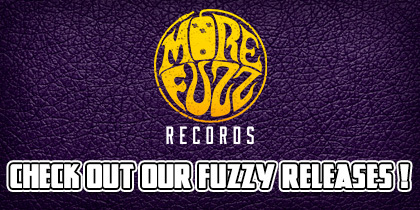 So if you like powerful stoner rock that you can truly rock out to – listen to this album! Clear vocals and gripping lyrics – you can sing along! Listen to it at home, at school, at work. ANYWHERE! I have not had a chance to see these guys live, but I hear they are awesome and I am planning to see them ASAP. So should you. (I think) the word “Vatan” comes from Persian language and means home or homeland. Mr.Greenglass is a civil engineer / writer / music lover from Estonia. He has always valued good music and his taste is quite varied. It was the year 2016 when he really dived into the ocean of heavy-stoner-psych and fell in love with the unhurried riffs.